Communication in the digital age takes on a new quality in the medical arena. The permanent availability of medical services on a professional level 24/7 irrespective of the patient or physician location marks the medicine of tomorrow. There already exist solutions that enable communication between remote medical experts. medMnet modi by MEYTEC presents a reliable telemedicine network based on fixed-network connection technology. The telemedicine network medMnet modi offers on the one side an attractive price/performance range of services and on the other side, broadband flat-rate connections. To access the Internet, a router, "made in Germany" is used. It has a robust firewall and can simultaneously ensure the secure transfer of encrypted data. The combination of professional hardware encryption and a Virtual Private Network (VPN) protects the user of medMnet modi from unauthenticated access from outside. Thanks to sophisticated fare conditions with fixed costs, the telemedicine network has almost full nationwide usability that causes no unexpected costs and it is available for the users 24/7 with high data transmission capacity. A precondition for the integration into the telemedical network is the availability of local broadband technologies. 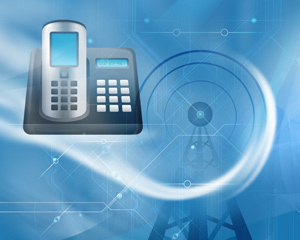 The technical implementation happens in collaboration with one of the largest provider of solutions for voice and data communication in Germany, the QSC AG, as well as, with other network operators. The QSC AG company also provides the main part of the infrastructure for the complete telemedicine network medMnet.